OEM (Original Equipment Manufacturer) is one of the terms used to describe products that come directly from the manufacturer. This applies to both hardware and software designed to be used on a computer system. Microsoft’s Windows Operating System with OEM license is available for purchase. 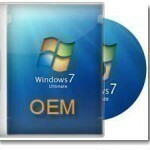 OEM versions of Windows function just like any other Windows installation. They are designed for PC producers and System Builders who resell the final product. Home users and computer hobbyists are technically not allowed to install Windows OS with OEM license. 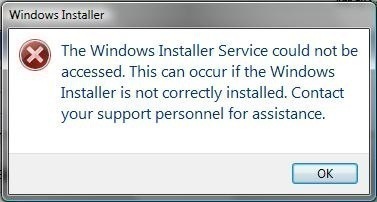 Windows OEM does not require a previous windows license to be installed. It cannot be transferred to another machine because it is tied to the motherboard when installed. It cannot be switched between 32 bit and 64 bit Windows versions, therefore the correct version must be used. The OEM version does not come with any official Microsoft support as the PC constructor must provide the support. Microsoft does not require activation when a PC maker does it, but those who use it as an OEM system builder need to activate it this way. An OEM pre-installation must be done with a kit and the clean install is permissible. The Windows OEM is a very simple option that has none of the unnecessary software that is usually pre-installed on PCs. The install media only provides what is needed for the operating system to be installed and loaded on a PC that can run it. The OEM only provides basic drivers that allow the system to load and be usable until the appropriate hardware drivers are in place. The available options in Windows OEM are only designed for building and selling computer systems with Windows pre-installed on them. Although this is what they are designed for, they are readily available through several retailers of fully licensed Windows OS versions. The main difference between what is available for the public to purchase and what a top PC manufacturer has available to them is the ability to install the OEM version of Windows on more than one system. Installing the OEM version of Windows has many restrictions and legalities. Anyone who purchases the OEM version is agreeing to its terms and the installation rules. This means that anyone who is using the installation media is qualified to either be a System Builder or computer producer. System builders must produce the systems for resale. The system builder cannot keep the system as the OEM version of Windows is only designed to be installed on systems that are going to be sold to someone else. This is what Microsoft allows and is outlined in the OEM documents’ terms. Companies that mass produce computer systems are allowed to use OEM versions of Windows to install Windows onto their systems. Special kits that are designed to customize Windows installations and test them before sale must be used. The kit is known as an OPK (OEM Pre-Installation Kit.) These special kits are necessary as they have access to the system for testing and are used to pre-install software that is supposed to come with the package. This also ensures that the Windows version that was installed was done without errors, while allowing the new user to receive the complete system “untouched.” The new user gets an “out of the box” experience, which allows him/her to create an account and customize/tweak the system before Windows fully loads onto it. These system builders also have to provide 100% of the support when customers have a problem that they cannot resolve with the default Windows help system. This means that the builder has to offer his/her own warranties or support limits to consumers for a valid OEM installation. Before any system is sold, a valid Windows Key Sticker (the hologram that contains the serial code) must be placed on the system casing. PC systems’ stickers are placed on the back of the case while laptops/notebooks’ stickers are placed underneath on an irremovable part of the case (battery, ram enclosure, hard disk enclosure). OEM Windows is really designed to be an option for Microsoft partners who create retail systems. “Partner” can be defined as an Original Equipment Manufacturer of hardware, an assembler, re-assembler or a software installer. 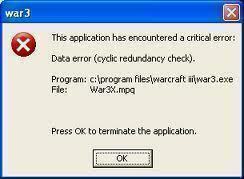 It is not intended for regular home users who need to install Windows on their computer systems. The low price allows systems producers to make a small return on the systems they produce. For these reasons, OEM versions of Windows are packaged lightly, without the box artwork, manuals, additional software, or any advanced installation instructions. The purchaser must know how to use it. OEM Windows cannot be returned when opened due to the software’s nature and limitations. The software is tied to the motherboard once installed. This means that the hard disk cannot be installed or used on another system. These limits contribute to a lower cost for the OEM version of Windows as well. Since the OEM version is designed to be used on certain types of systems, they are compatible with 32 bit or 64 bit systems, not both. The systems’ producer must choose the option that is compatible with the hardware being used. This limitation also causes the OEM installation media to cost less than the full retail version of Windows. Since Microsoft does not offer support for the OEM version of Windows to the end users, they save money on tech support telecommunications as they only cater to their own customers. These savings are passed on to systems producers and OEM cost is lowered. Is it ok to Purchase the OEM Version for Home Use? The OEM option is available and easily accessible to home users, though this is technically disallowed. The main thing to remember about OEM Windows is that they are non-returnable. If the user plans to use it at home they can. However, they may not have access to updates or be able to register with Microsoft. 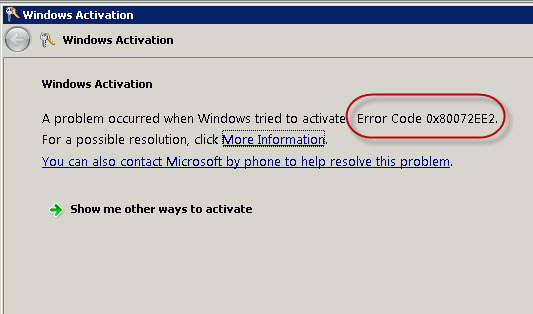 It is difficult to use Microsoft products without the proper registration/updates. Some OEM Windows sellers actually provide a valid Windows registration key with the installation media. This makes the OS fully functional but the restrictions that Microsoft requires remain. Unlike other software manufacturers that offer more flexible options, Microsoft has made it much more difficult for home users to install the OEM. Microsoft’s intrusive methods that disable Windows are common. These include background OS monitoring/verification when a internet connection is made or other Microsoft software is installed. 321 queries in 0.309 seconds.